The Bubble Foundation originated with The Bubble Unit, which was established in 1987 to treat babies and children born with defective immune systems, offering them bone marrow transplantation. Since 1994 and 2000 respectively, the Unit has also begun to treat children suffering from leukaemia, and severe forms of arthritis. The Foundation aim to raise funds to assist in the care & treatment of children diagnosed with Severe Combined Immunodeficiency (SCID), children born with a gene deficiency that means they are can't fight infection. 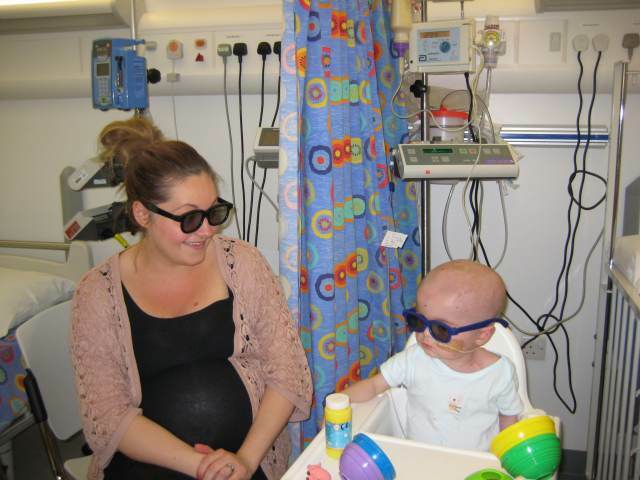 There are only 2 centres in the UK & Ireland to treat these children, Newcastle & Great Ormond Street Hospital. The Bubble Foundation is based at The Great North Children's Hospital in Newcastle and they aim to raise awareness of SCID to offer the best chance of success to children who have travelled to them from Birmingham right up to Scotland, Northern Ireland & Eire. Whilst there is always an urgent need for a range of state-of-the-art medical equipment other needs include research, parent support and accommodation, staff training, and toys and educational equipment. Many of the children being treated at the Bone Marrow Transplant Unit are subjected to lengthy and unpleasant procedures which cause them much distress. When the children are being subjected to these procedures it is of great help to provide some form of distraction to focus their attention away from the unpleasantness of the situation. Following a very informative visit to the unit the Barbara Ward Children's Foundation made a grant of £27,250 to enable the Bubble Foundation to purchase a 3D Interactive V-pod Sensory Unit to try and make the whole treatment experience less stressful for the children.